With the first buttonhole you close the first part of the support round the wrist, then with the other strips you adjust the desidered tension to achieve maximum confort. 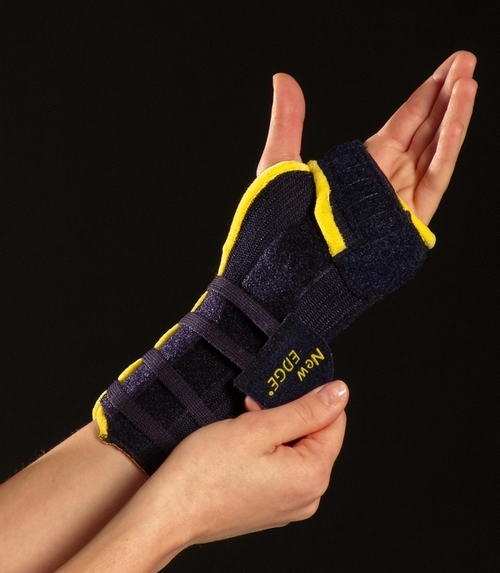 Three anatomic, mouldable stays ensure the block-up of any wrist movements. 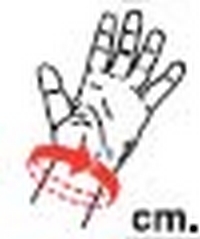 These stays can be removed so that the splint may fit the different rehab phase.